Two legs are better than one: Based on this truism, the forwarding agency HEAVYTEAM is equipped with an extensive vehicle fleet, which includes all customary vehicle types, but if required also rents additional vehicles. That means: That the vehicle park is developing in size and composition parallel to the current requirement profile, thus allowing us to react to all customer requirements at all times. 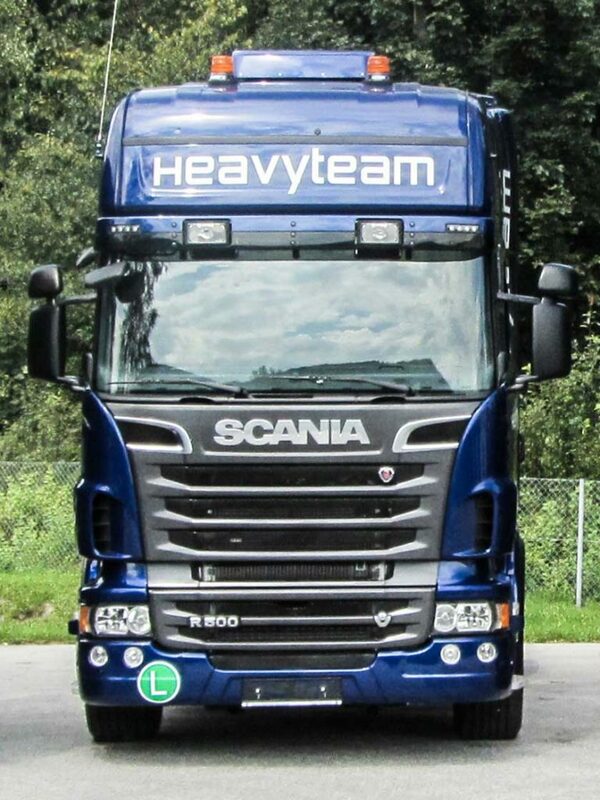 It is also important to note that all the HEAVYTEAM’s special vehicles feature loading ramps and tarpaulins. The own fleet consists primarily of special-purpose vehicles for special missions; the vehicle fleet of subcontractors is made up of curtain sided trucks and megatrailers as well as sprinters. The tautliners are normally hauled by subcontractors. Ancillary services (e.g. organising cranes for unloading, booking ferries, etc.) are offered to customers as a matter of course.